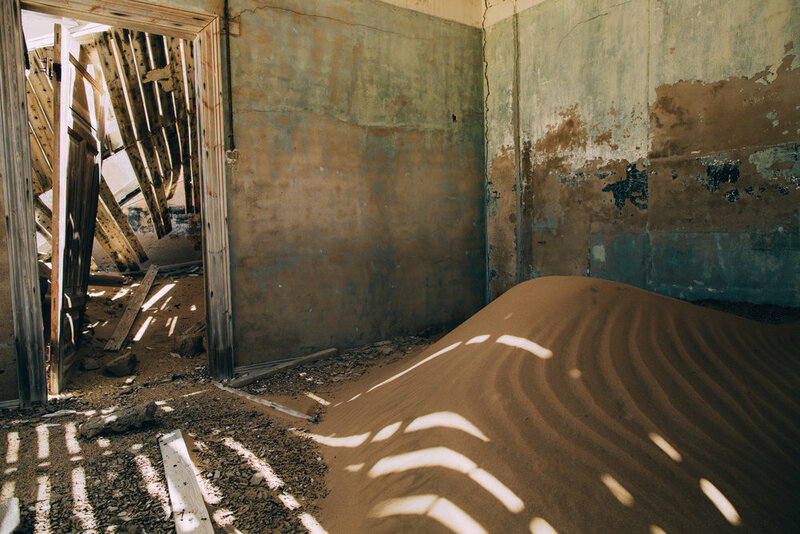 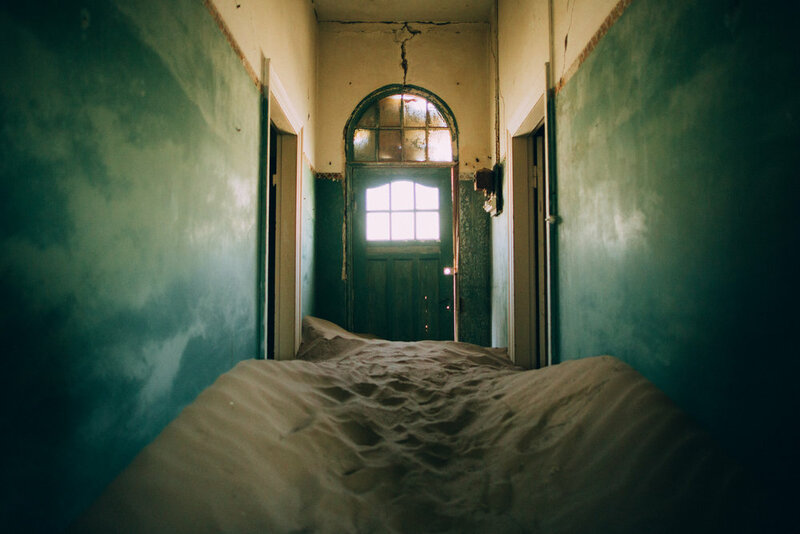 Taken in Kolmanskop, Namibia, these are the homes of former diamond miners who abandoned their homes after the rush was completed post World War II. 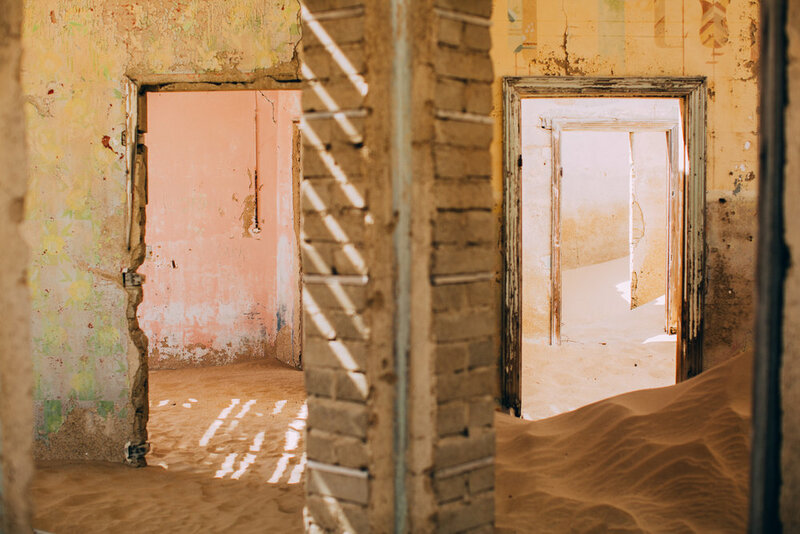 The beauty of Gorged lies in the details. 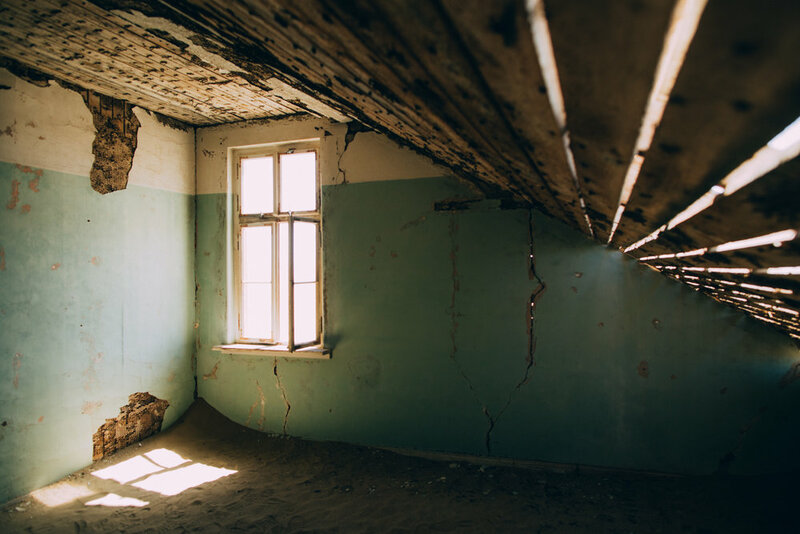 Cracked ceilings reveal beams of light, layering familiar, comforts of green hued wallpaper with erosion, which has seeped into the homes, overtaking what once was.